If you feel that your wine collection is too confined by more traditional storage methods that obscure the bottles or keep them hidden within containers, then cable wine racking could be the perfect wine racking solution for you! The Cable Wine System www.cablewinesystems.com is a spectacular way to display your wine collection if you are looking for something contemporary, sophisticated and unique. Papro Consulting is proud to offer their clients access to the finest cable wine racking available anywhere—an exciting alternative to the more conventional methods of wine storage. By using tensioned cables to create the illusion of floating wine bottles, there is nothing quite like the Cable Wine System to make your wine cellar stand out from the crowd. Papro Wine Cellars & Consulting’s cable wine racking, as provided by Cable Wine Systems Inc., is comprised of stainless steel tensioned cables and connecting clamps made of solid brass with brushed nickel or chrome finishes. The cables allow your wine collection to be displayed in an aesthetically unique manner, giving the illusion you’re your bottles are almost floating in mid–air! In addition, the Cable Wine System allows for maximum visibility of the bottle labels in your collection and is easy to access and organize. 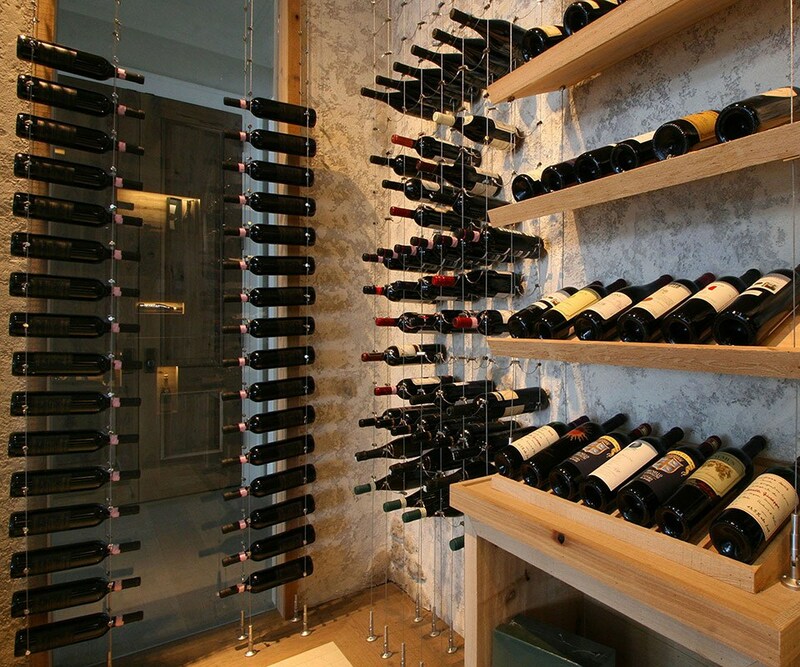 Additional features, such as angled bottle displays, accent lighting and floating shelves can also be incorporated into the Cable Wine System—giving clients the opportunity to customize their wine cellar racking as they please. Papro Consulting’s cable wine racking offers an exciting alternative to other existing systems because its sleek and contemporary aesthetic is simply unmatched. The streamlined and minimalist nature of the Cable Wine System beautifully complements any finishes and furnishings in its surroundings and will undoubtedly make your wine cellar the talk of the town.